I came home from car shopping yesterday to see a package by my front door. It hadn't slipped my mind, and I knew it was coming, but my excitement was obvious. I did a beer trade with some Indiana chick. OK, not just any Indiana chick--we're talking about Marathon Marie! 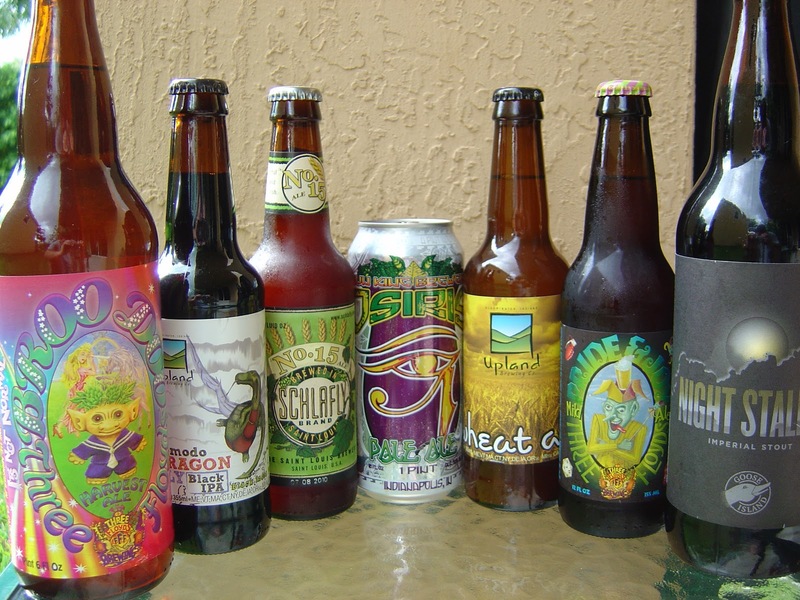 You've met her before when she wrote her Dogfish Head tasting summary guest post several months back, and you may have even caught her review of Jai Alai a few days ago, which is one of the ones I sent to Indiana. 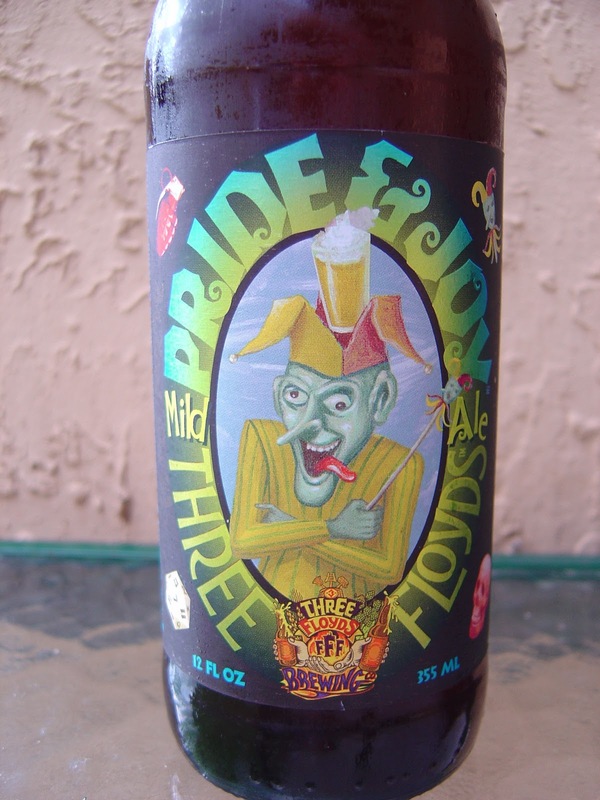 Today I decided to drink one of the ones Marie sent--Pride & Joy Mild Ale brewed by Three Floyds Brewing in Munster, Indiana. 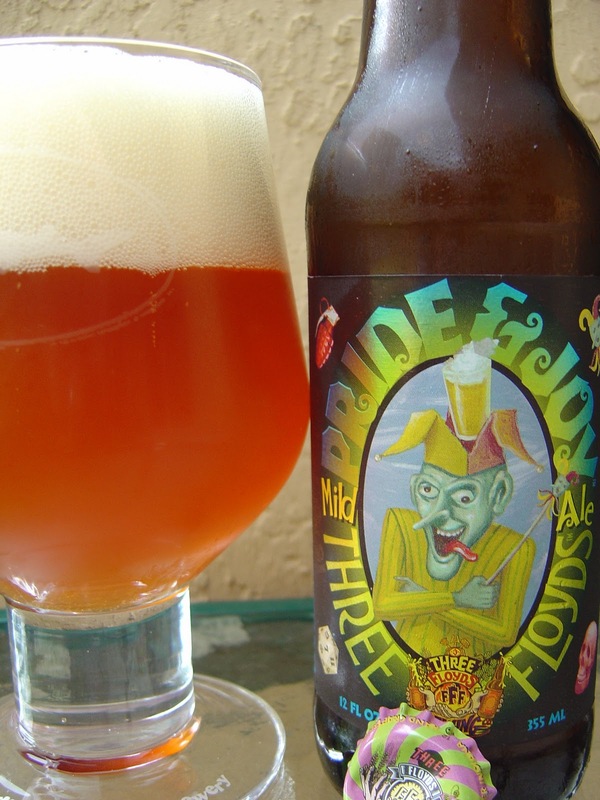 This brewery has an awesome reputation but is not available in Florida. Surprise, that is the reason I'm trading for it, duh! Remember, thinking caps! Now, Mr. label is oh so cool. Electric blues and greens that shimmer as you change angle of the light striking the bottle. A funny jester balances a pint of beer on his head and is adorned by "It's Not Normal" on each side. Finally, a little story concludes with... "Like all our beers, it's brewed for our own demanding tastes. We won't compromise; neither should you!" The bottle cap is cool too! Giant fluffy head. Citrus and really lemony aroma, like a lemon drop candy. Love the citrus flavors right up front, plenty of lemon and grapefruit, lightly bitter but not overly so. There is a real hoppy and flowery characteristic, and coupled with some orange rind, everything is working superbly so far. Some bready malt performs the main balancing act, but is subtle enough to leave this beer perfectly bitter. Excellent carbonation, creamy texture. There is one other really familiar flavor that I just can't put my tongue on right now--let me know if you figure that out. Great beer! Now that it's finished, I'm going to move on to a Dogfish Head 60 Minute IPA. 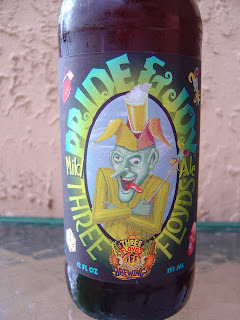 I've been reading about the recent release of Poppaskull, a collaboration beer between Dogfish and Three Floyds. Well let me tell you something. I've got my own little collaboration going with these two breweries as we speak. You see, I didn't rinse my glass after this review and just poured in my 60 Minute! I'll let you know how it turns out. Also, don't forget to watch Sam in Brew Masters on Discovery tonight at 10 pm. Glad you liked it. It's a little high for a session beer; nevertheless, I drink it like one. I get to try Poppaskull on Saturday after Thanksgiving at 3Floyds. Should make for a good blog post. Yes, this was a nice beer. Thanks again. I'm gonna drink the other FFF beer tonight. Lucky you with the Poppaskull. That wont be coming our direction, I don't think.